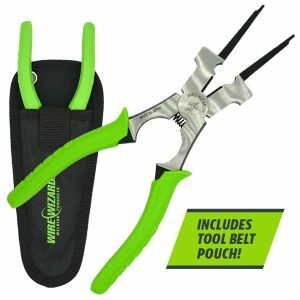 Wire Wizard® Multifunction Wire & Welding Pliers are heavy duty pliers designed for use with MIG welding guns and the wire delivery system. 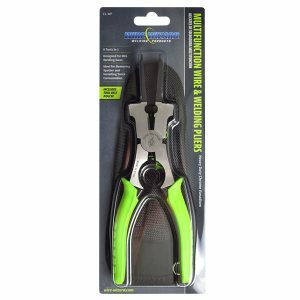 The pliers feature rounded tips for sharply bending wire for easy feeding through Wire Guide Modules and the rest of the wire delivery system. 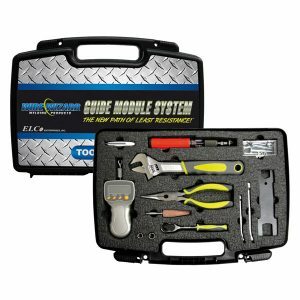 Additionally, they serve as an indispensable welding tool for servicing and maintaining welding consumables and removing spatter build-up. Manufactured from heavy duty chrome vanadium, they are built to last in a tough industrial environment. Package includes convenient tool belt pouch. 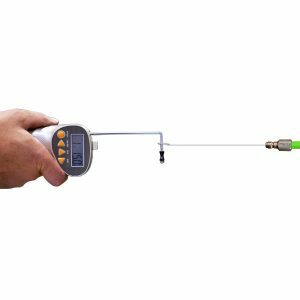 This hand-held, battery operated tachometer incorporates the latest single chip micro-circuit technology for high reliability and low maintenance. Capable of measuring and retaining RPH, RPM, FPH, FPM and MPH. Standard accessories included: 3-1/2″ (89mm) extension shaft, one funnel and two cone adapters, master wheel (6″ / 152mm) and carrying case. Manual application only. Does not take continuous readings. 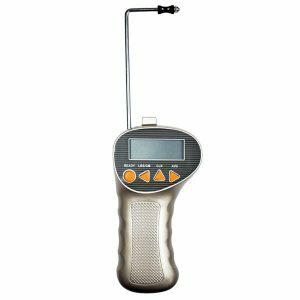 This hand-held, battery operated tachometer incorporates the latest single chip micro-circuit technology for high reliability and low maintenance. Capable of measuring and retaining RPH, RPM, FPH, FPM and MPH. 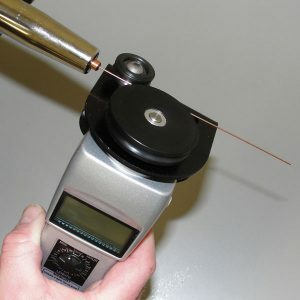 Feed wheels provide easy measurements at the torch end to verify and fine tune wire feed speed. Includes carrying case. Manual application only. Does not take continuous readings. 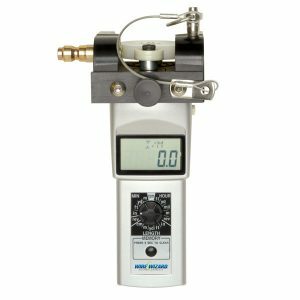 The Wire Wizard® Wire Draw Gauge is designed to accurately measure the draw weight of MIG welding wire pulling through the conduit. This allows the operator to troubleshoot wire delivery problems and check the amount of strain the wire is creating on the feed motor. Hand-held, battery powered (9-volt). Max pull weight: 12 lbs (5.4 kg). 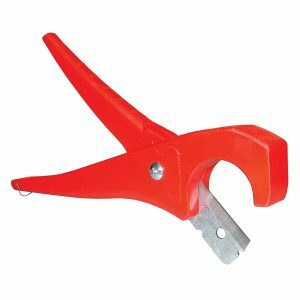 The heavy duty Polymer Conduit Cutter is designed to trim all sizes of polymer conduit with ease. The heat treated steel cutting blade cleanly cuts through conduit. 8.5” (216mm) long. 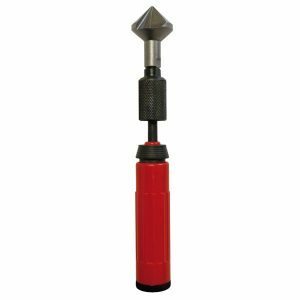 Use this ratcheting Countersink Tool for countersinking the ends of polymer conduit to prevent wire hang-ups. Required for proper installation, except on pre-cut lengths with connectors pre-installed.